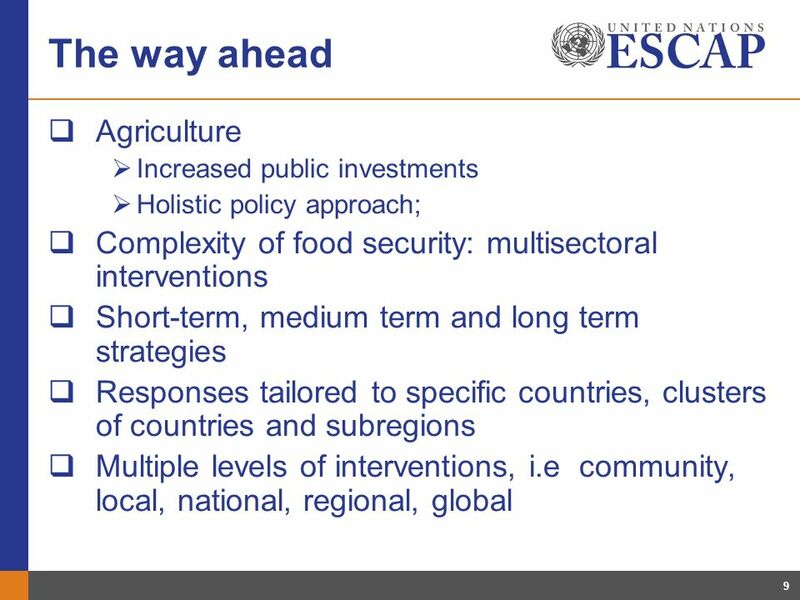 Ensuring Food Security in Asia-Pacific: Addressing Threats to Development Noeleen Heyzer Under-Secretary-General of the United Nations and Executive Secretary. 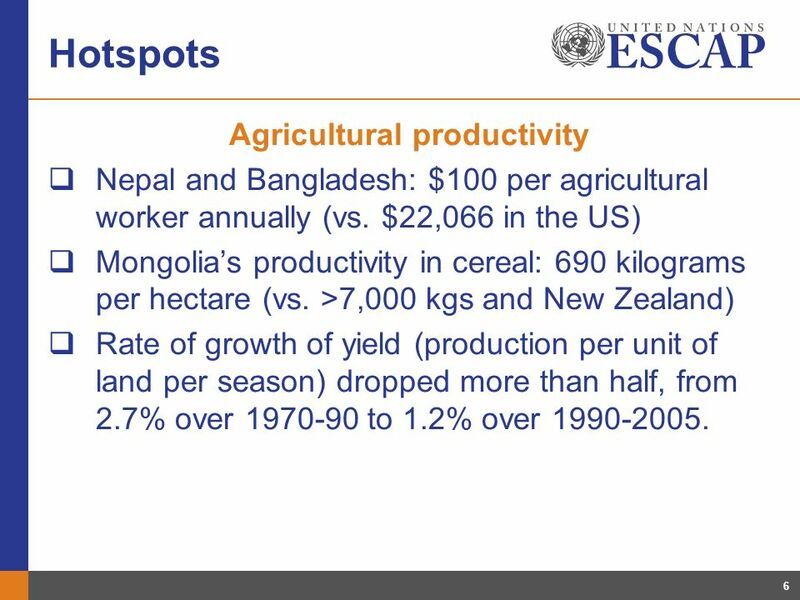 6 6 Hotspots Agricultural productivity Nepal and Bangladesh: $100 per agricultural worker annually (vs. $22,066 in the US) Mongolias productivity in cereal: 690 kilograms per hectare (vs. >7,000 kgs and New Zealand) Rate of growth of yield (production per unit of land per season) dropped more than half, from 2.7% over 1970-90 to 1.2% over 1990-2005. 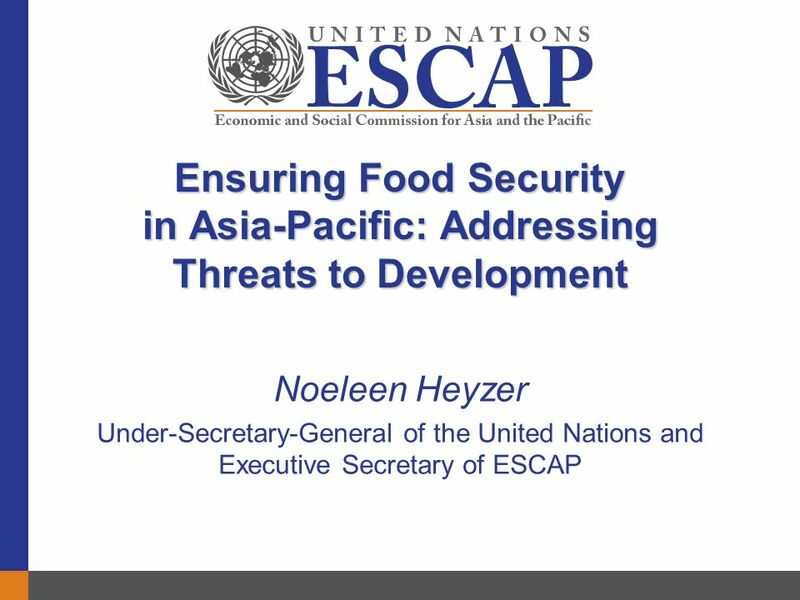 Download ppt "Ensuring Food Security in Asia-Pacific: Addressing Threats to Development Noeleen Heyzer Under-Secretary-General of the United Nations and Executive Secretary." Asia and the Pacifics Perspectives on the Post-2015 Development Agenda Dr. Noeleen Heyzer Executive Secretary United Nations Economic and Social Commission. 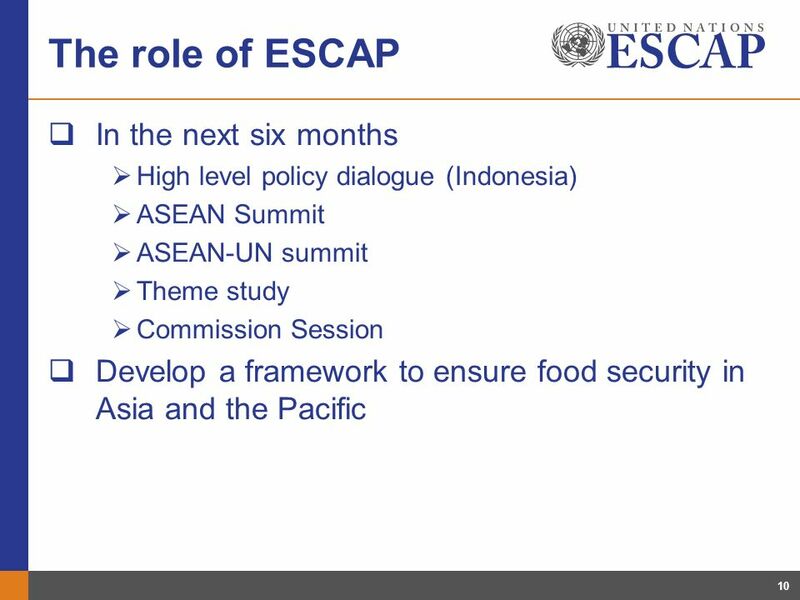 1 Dr. Noeleen Heyzer Under-Secretary-General of the United Nations and Executive Secretary of ESCAP Follow-up to Rio+20: Actions & considerations at the. 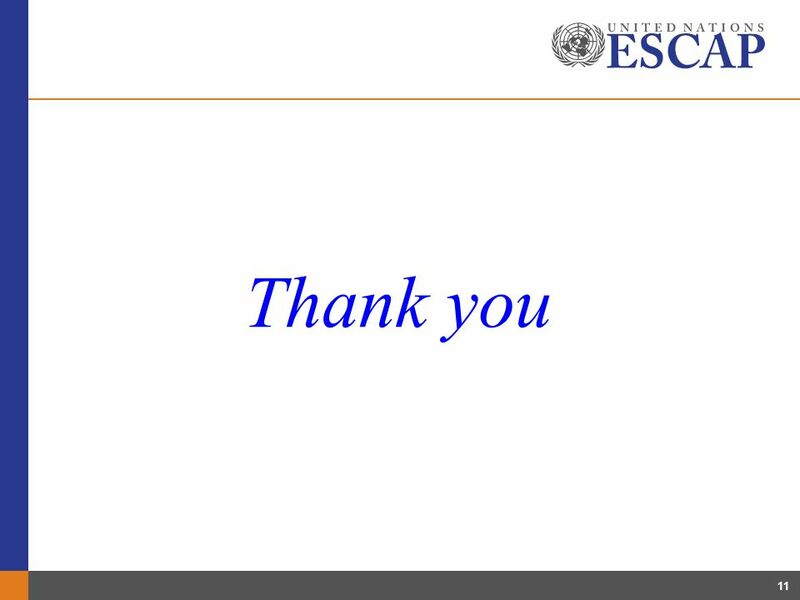 Dialogue of the Executive Secretaries of the Regional Commissions with the Second Committee Moving From Short-term Measures: A regional alternative to. 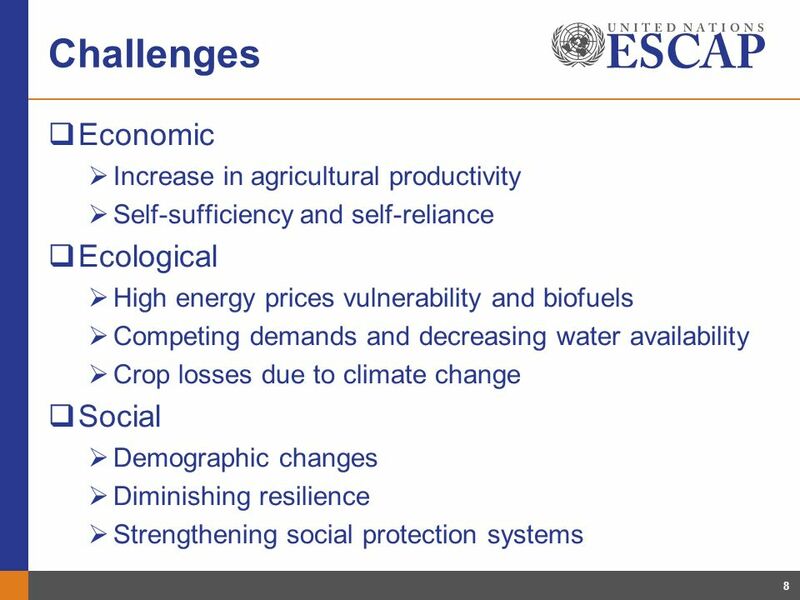 No Goals at Half-time: What Next for the Millennium Development Goals? MDG1: Poverty and hunger Andrew Dorward and Colin Poulton. 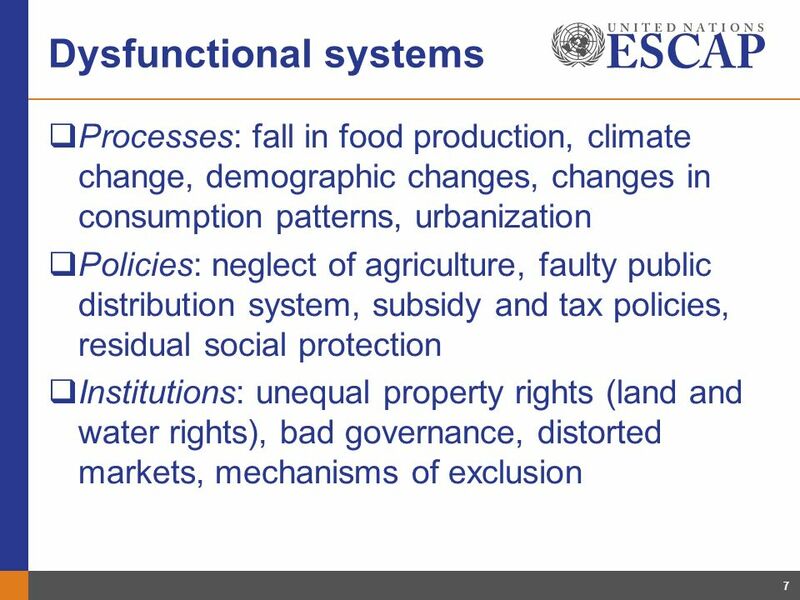 SESSION 3 URBAN – RURAL ISSUES Prof.Dr. MAI Trong Nhuan Dr. Tran Viet Nga Vietnam National University, Hanoi. HIV and AIDS Data Hub for Asia-Pacific Review in slides Data Availability Last updated: March 2015. 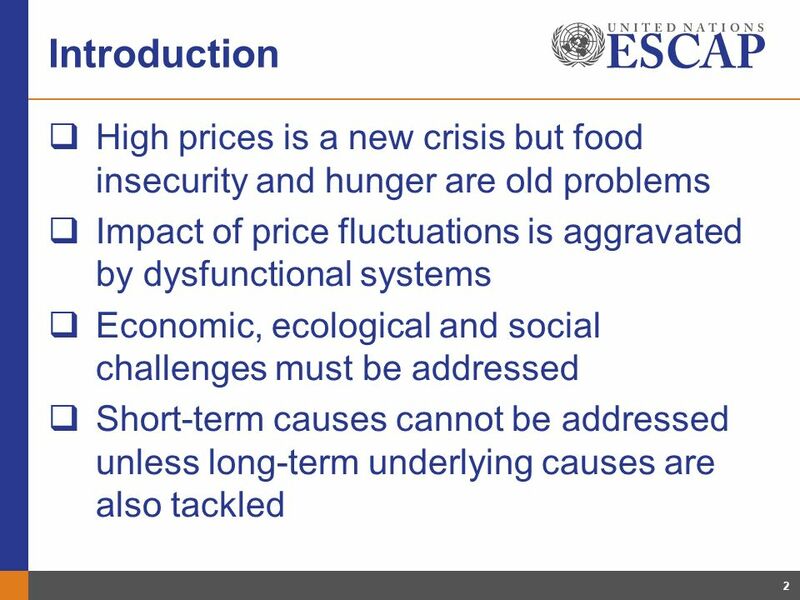 GROWING A BETTER FUTURE FOOD JUSTICE IN A RESOURCE CONSTRAINED WORLD Tenth RRI Dialogue on Forests, Governance and Climate change: Common approaches to. 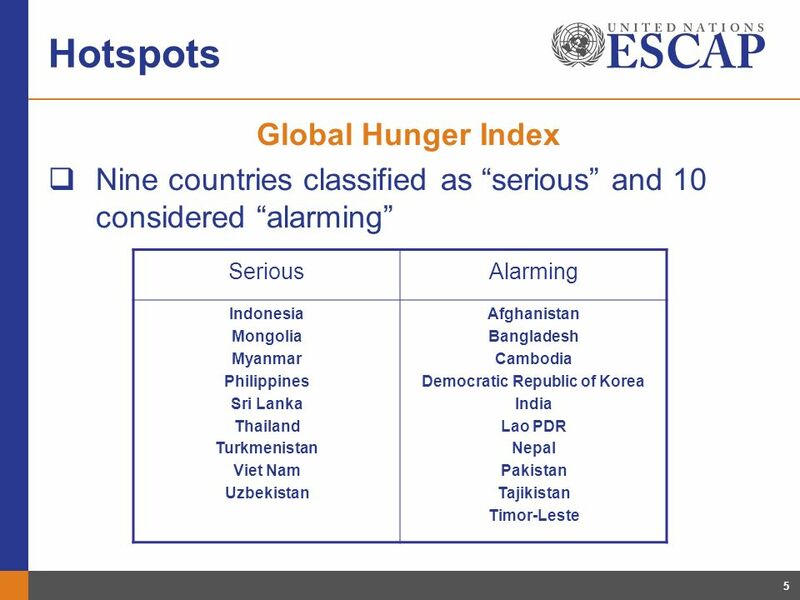 Sujit Saleepan,Nutrition Division,MOPH,Thailand. 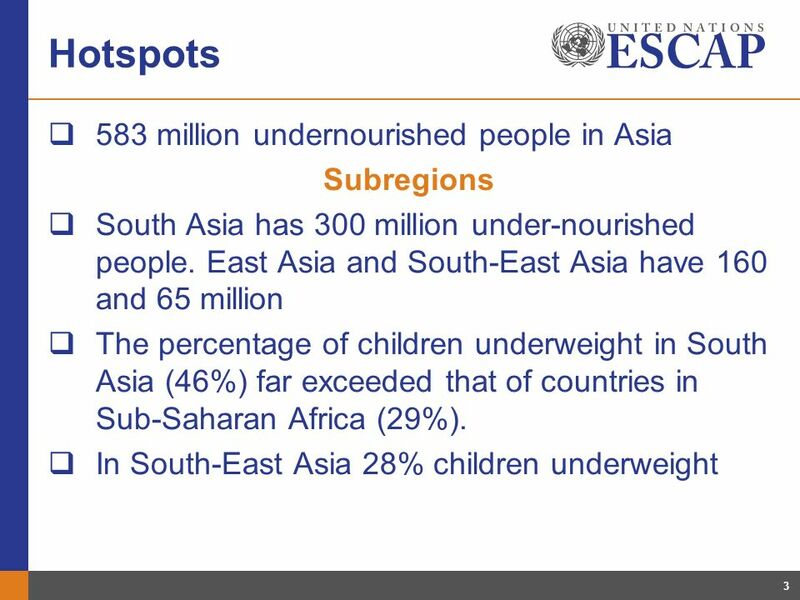 Nutrition Security in South East Asia: potential impact of climate change Sujit Saleepan,Nutrition Division,MOPH,Thailand. 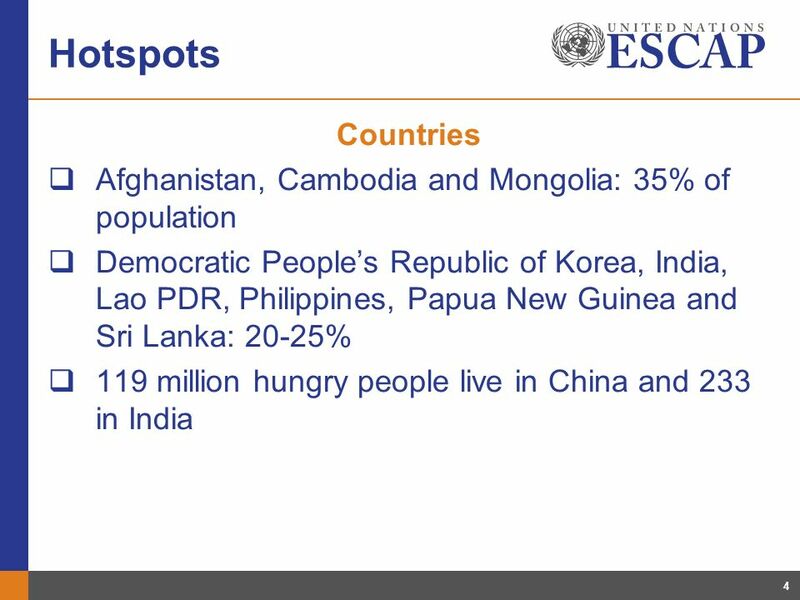 Asia-Pacific Disaster Report Manzul Hazarika, Ph.D. Sahdev Singh, Ph.D. Chapter 1 : Hazard, Vulnerability and Risks - Trends and Analysis.